Saturday, May 31, THE THING Quarterly hosts a release party for the newest issue of their shapeshifting object based publication. 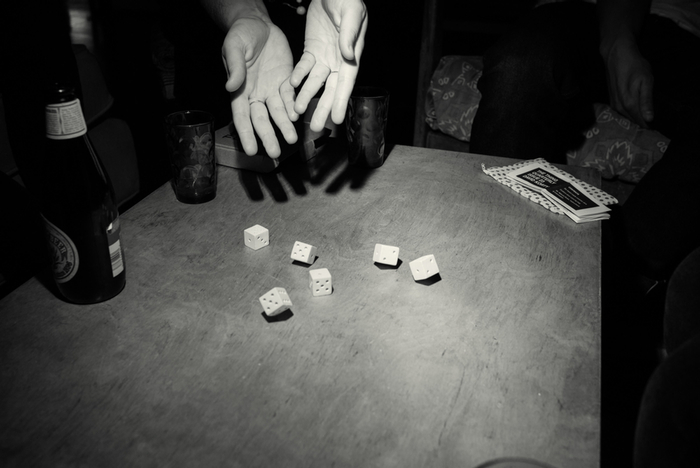 The specifics of the new issue, a project by David Korty, will be kept secret until the publication is released to its subscribers; a clue from the publishers is that the release party doubles as a tournament of sorts, and that this tournament is not a competition of physical strength or endurance. The party and tournament will be held at Night Gallery in Los Angeles. “A tournament is only natural,” hint the publishers of THE THING; a tournament of an undisclosed nature will take place at the Issue 23 Release Party at Night Gallery on May 31, from 7-10 pm. Courtesy of THE THING Quarterly. 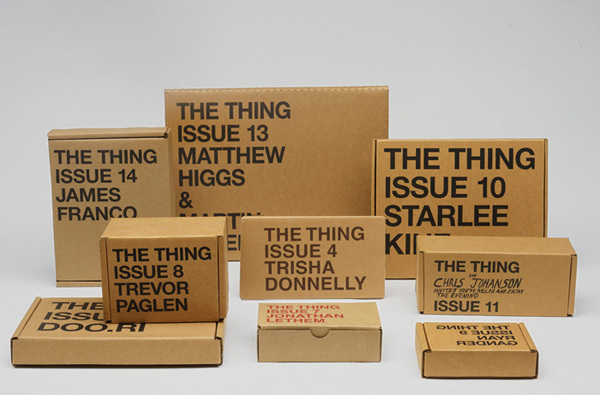 An assortment of previous issues by THE THING Quarterly. 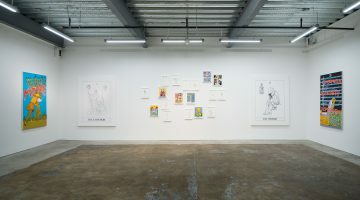 Contributors to THE THING have included Miranda July, James Franco, Dave Eggers, Chris Johanson, Mike Mills, David Shrigley, Tauba Auerbach, and John Baldessari. Upcoming contributors include Kate and Laura Mulleavy of Rodarte, Brian Roettinger, and Gabriel Orozco. 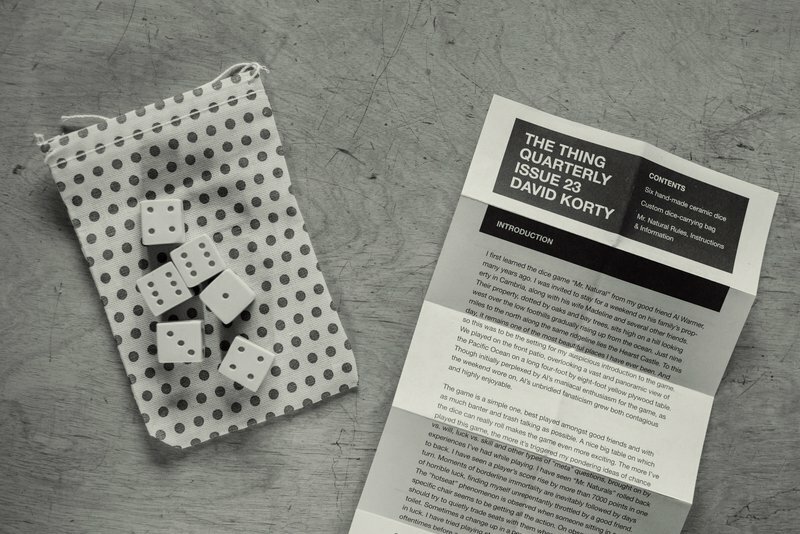 For more information on THE THING Quarterly, a project by Jonn Herschend and Will Rogan, please visit their website.